We have what you like, high quality cannabis and affordable options too. At Sweet Relief Port Townsend we can tell a product developed by someone with experience, that is why we choose Trail Blazin. The folks at Trail Blazin have been sharpening their skills in cannabis product development since before recreational marijuana was legalized in Washington state. We have been working with Trail Blazin for a long time because they have such great products for smoking, but now we are adding another one of their products to our shelves, lotion that is great when applied to your skin! This lotion from Trail Blazin is called Cur. We have 2 versions of Cur right now; one has a balanced CBD to THC ration, the other has twice as much CBD as THC, both work great and customers tell us it is the best they've ever tried! We've had some customers who suffered from severe Gout who bought this product and kept coming back for more. After 6 weeks they didn't need to come back for more, but they recommend it to their friends! 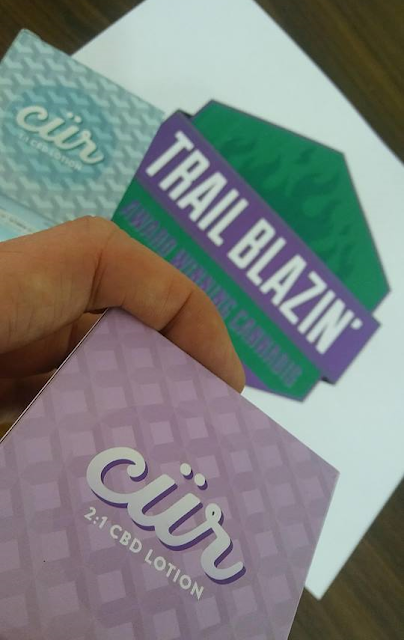 Come try Trail Blazin Cur now and tell us what you think We will be adding more options from Trail Blazin in the near future because customers love them!